Bradford Court Business Centre provides character serviced offices in a converted Victorian building close to Birmingham city centre. 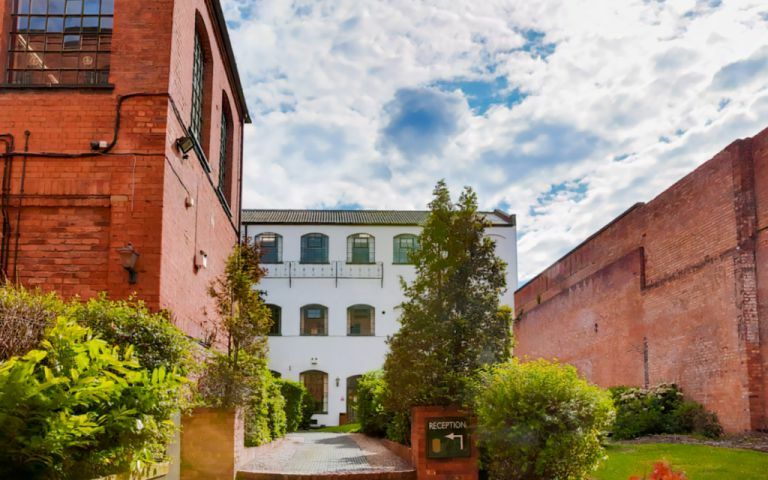 Built around an impressive landscaped courtyard, this well-established business centre offers secure accommodation in suites of varying sizes from an office for 1 person upwards, shared desks and virtual office services. Secure access-controlled working environment with a 24-hour access for tenants. Secure on-site parking with additional parking available nearby. Our friendly and efficient centre staff offer personalized telephone answering and secretarial and administration services. On-site cafe provides catering services for your employees and conferences. Services and Utilities included in the price (Office Cleaning, Electricity and Gas). Situated on Bradford Street in Digbeth, Bradford Court is only ¾ mile (10 min walk) from the city centre, just minutes away from the Bull Ring shopping centre, The National Coach Station, Moor Street Station and New Street Station. Just 8 miles (20 mins) away from Birmingham International Airport. There is also good access to the motorway network – Junction 6 of the M6.